The pilot of a Massachusetts Air National Guard F-15C fighter jet that crashed in rural Virginia was killed in the incident, the Colonel of the pilot's fighter wing said late last night. The impact of the plane early on Wednesday morning had set off a large search for the missing pilot. Though the search eventually involved over 100 people and lasted almost two days, according to the AP, the response team eventually found evidence that the still-unidentified pilot did not manage to eject, despite early witness reports of a parachute. It had earlier been reported that the pilot experienced an emergency situation before the plane went down. 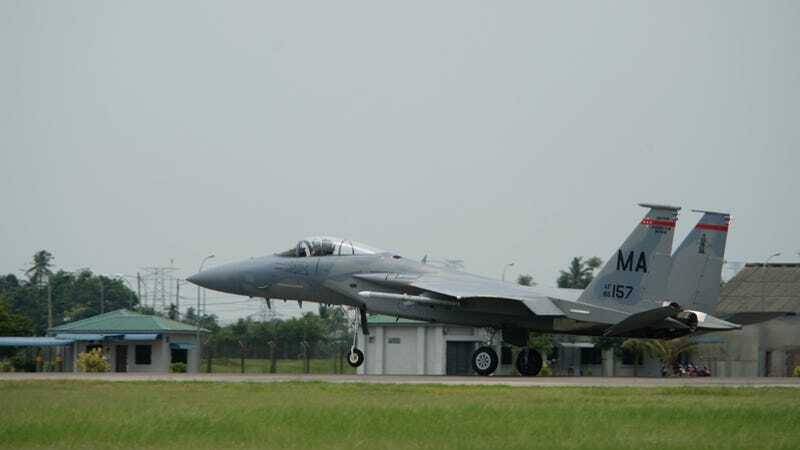 The F-15C of the 104th Fighter Wing had been on a flight to New Orleans for radar upgrades, and was not armed when it went down.